One of the hardest things about travel is to taste things that are sublime, much better than the versions you've had at home, and then not be able to taste them again whenever you want. 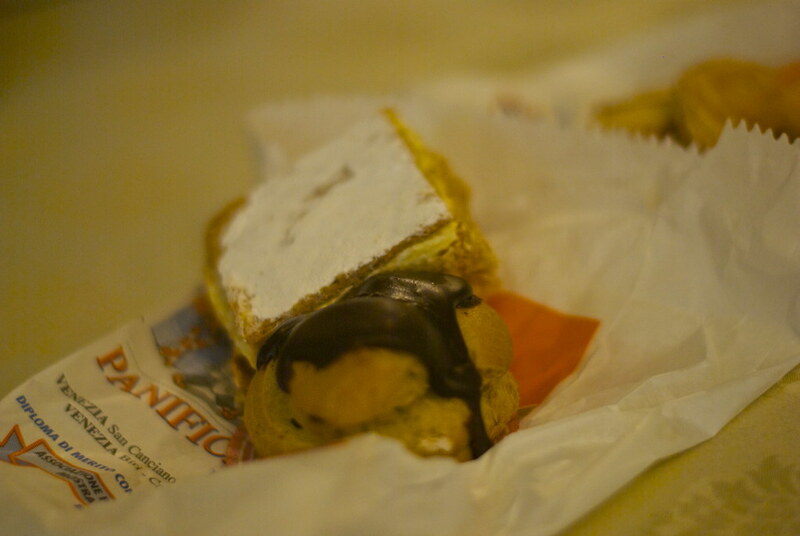 We ate these delicacies on a hotel bed in Venice. I am genuinely sad that I can't have them again right now here on my couch. A Napoleon (rear) and a cream puff (front). We also had one of those sort of swirly pretzel looking almond cookies. WHAT IS THIS WIZARDRY. you post pictures of pastry, i post that comment about being hungry, and my supervisor walks in with a box of donuts. naturally, i have to indulge because pastry.